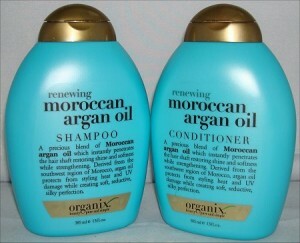 The Organix brand has a lot of various hair care products and have been around for a while to be noticed and sold in stores like Boots and Superdrug – this review is based on the shampoo’s they have, and how effective are they shampoos, from coconut oil based shampoo or Moroccan Argan oil shampoo or others they have, and their effectiveness for hair growth and hair problems – how good do they match up? As you know, we often write based on various systems – from Western views, Scientific views, Eastern medical views, Chinese Medicine as well as Indian Medicine, and last but not least, Ancient Korean medicine. Most of the shampoos and pills you see today for skin and hair are often categorized in two sections – and most of them fall in one section. Artificial Enhancement: These shampoos and products are designed as a make up for hair and skin. They are not designed to fix a problem. Sometimes, the ingredients in these products will only worsen the condition, and may speed up the worsening process (aging); some people are okay with this, and don’t have enough time or care about really resolving an issue, so this type of product is most popular, and has most products within this category. Actual Enhancement: This is based on certain research, medical systems, and work to actually help resolve, or fully resolve the problem. Often these products should be used as a part of a regime, as a cure all and fix all for a problem, for every human body and skin type, is mathematically impossible, whilst individual level cure’s do exist – but are limited as they are not allowed to be advertised as cures, due to the amount of companies that would abuse this word, it is better left banned from use. These types of products are the rarest to find, as sometimes the artificial enhancement type of products often try to pretend to be in this category, sometimes intentionally to mislead, sometimes accidently misleading. As far as Organix shampoo is concerned – and the reviews based on this shampoo; this shampoo line is based on the first popular category; which is artificial enhancement. It is tricky for a third party who is not an expert to see this, because of natural ingredients being named, from coconut oil, argan oil and so on – but this is misleading in our strict opinion – as this can make the buyer think that the product is designed naturally, and organically to produce real results – which this is not really going to happen. They have a huge range of small bottles of various shampoos, that sound like they are designed to repair hair – but the word “repair” is being used very loosely – because hair itself is a dead cell collection, and cannot really be repaired in that sense of biology – but new hair growth can be improved in quality by various sets of routines depending on your body type, lifestyle and other factors. 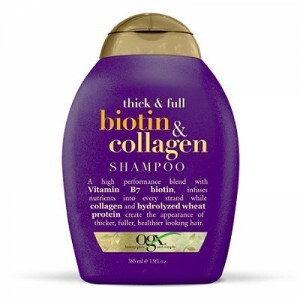 As you can see on the picture on the right, it says Biotin and Collagen shampoo by Organix – and adds at the bottom that it has B7 vitamin (which is Biotin) and wheat protein. What most of these ingredients will do (mostly) is to attach themselves to the hair strand, and make the hair appear to be smooth and thick – but the problem is – this is the same as adding sand to the cracks of walls, so it evens out the gaps, and painting on it – this does not mean the building or wall with cracks has been repaired – it means it has been hidden from sight. If this is okay with you – then it is fine – some people are happy with this, and hence this sells. But if you are looking for a deeper level of actual repair, you aren’t looking at the right place – note carefully the wording where it says “appearance of fuller, healthier looking hair” – not actually really healthier hair. Most cosemetic companies like Organix are like this – they try to create products that cover up problems, and this is not a bad thing in itself – as sometimes you just want to move on and do something better and productive in life, rather than worry about the aesthetics – but it is still important to have the knowledge that what companies are doing what – so you know what to do, when you want something different, and what to look out for when buying shampoos and hair care products.